The Samurai is a Japanese historical fiction television series made by Senkosha Productions during the early 1960s. Its original Japanese title was Onmitsu Kenshi. The series premiered in 1962 on TBS and ran continuously until 1965 for ten self-contained story arcs, usually of 13 episodes each. Also created were two black-and-white feature films by Toei Company, made in 1964 by the same crew which has created the TV series, and a stage show. The Samurai proved to be highly successful despite its initially very limited budget. It was the first Japanese TV program ever screened in Australia, where it premiered in 1964 and built up a remarkably large fan-base among the local young audience at the time, rapidly becoming a cult favourite. Despite its massive popularity in Australia as well as success in Japan, New Zealand and the Philippines, the series was not widely screened elsewhere and its fame remains largely restricted to those countries. 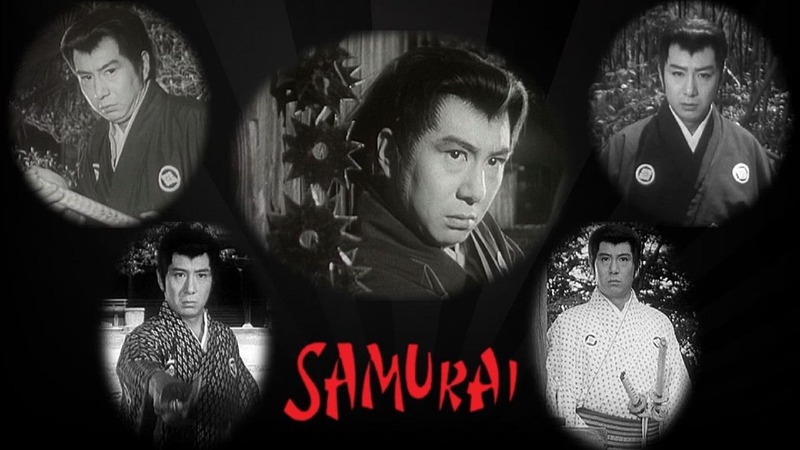 It was followed in 1965 by the spin-off series The New Samurai, featuring a completely new main character, which was however cancelled after only 39 episodes, compared to the 128 episodes of the original series. In 1973, a color TV series was also made for 26 new episodes in an abortive attempt of a remake and then a short-lived reboot. All of the TV series were sponsored by Takeda Pharmaceutical. Em breve! Tenha acesso a uma comunidade de fãs de The Samurai, compartilhe informações, fique sabendo de novidades, detalhes, teorias e debates sobre sua série favorita.